We left Seychelles, went on a learning voyage and are now looking for a new challange. Do you have a nice place to enliven with our Holistic Services? Or an interesting Project to build up a Holistic Resort? Or would you like to run together with us some retreats? Then don't hesitate to contact us! Please check also www.facebook.com/seyllbeing for news, thank you. Breath is the source of life and our Body is the house we live in. The goal is to bring our Breath and Body into harmony. The result will be sharpness of mind and comfort to your spirit. Ayurveda, Yoga, Breath and Meridian treatments have a common purpose. The focus is that body, mind and spirit are treated as a unity, holistically and in balance. Neither riches, health nor power, in themselves, bring us happiness and satisfaction. Overall well-being is the key. is a small company on Mahé, Seychelles, offering holistic services by therapists who come to your place. 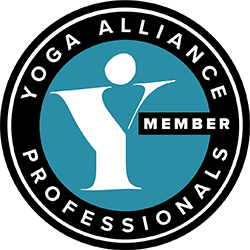 The professional Yoga teachers and the therapists work as freelancer and can be booked by private persons, hotels or other institutions. They bring all material like Yoga mats and blocks, massage table, Shiatsu mat, oils and other ressources along. As far as possible, only environmentally sustainable and organic materials are used. SEYLLBEING does not have its own therapy premises. The services are Yoga, Ayurveda, Shiatsu, Acupressure, Meridian Work, Body- and Breath Therapies, Fascia Training and Thai Massages. Yoga is smooth and body adapted, includes breathing techniques and meditation and can include Vinyasa flows. This style is also called Ayur Yoga. A speciality is Yin Yoga, a great fascia training. 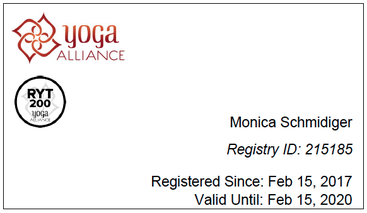 There is no doubt anymore about the immense health benefits of Yoga and Meditation. Ayurveda treatments are two or four hand massages like Abhyanga, Udvartana, Thalodal or oder specivic treatments (eg back- or joint pain, cellulite) on request. Acupressure is similar to TCM based Acupuncture, but just using hands and fingers instead of needles. Body- and Breath therapy is based on appreciation, ethical action and therapeutic conversation. 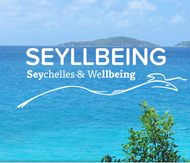 If you are interested to come to the Seychelles for a cure, don't hesitate to contact SEYLLBEING. It is possible to recommend hotels or guesthouses who know SEYLLBEING and where the therapists are welcome to do their treatments.